Pictured above is Josh Pauls. He was born without tibia bones and had his legs amputated at 10 months old. Despite this tragedy Josh was destined to be great. He started playing sled hockey as a kid. He told CBS reporter Meg Oliver, "It was one of the first times he was just like anyone else. Nobody is limited once you get on the ice." Josh become the youngest player ever to make the US Men's Sled Hockey Team. He has now won two gold medals and three world championships. By the way, he is only 22! During the summer, Josh coaches hockey players in New Jersey that do not have disabilities. When asked what it is like to coach kids without a disability Josh said, "Hockey is hockey. Their standing up and I'm sitting down. That is really the only difference". It is powerful to witness the strong impact he has on the players he coaches. Josh transformed his disability into a beacon of inspiration for all hockey players, disabled or not, that want to be great. It does not matter how severe the disability or challenge you are dealt. If you believe in your goal and work hard to achieve it. Anything is possible. Watch the inspiring video produced by CBS News here. 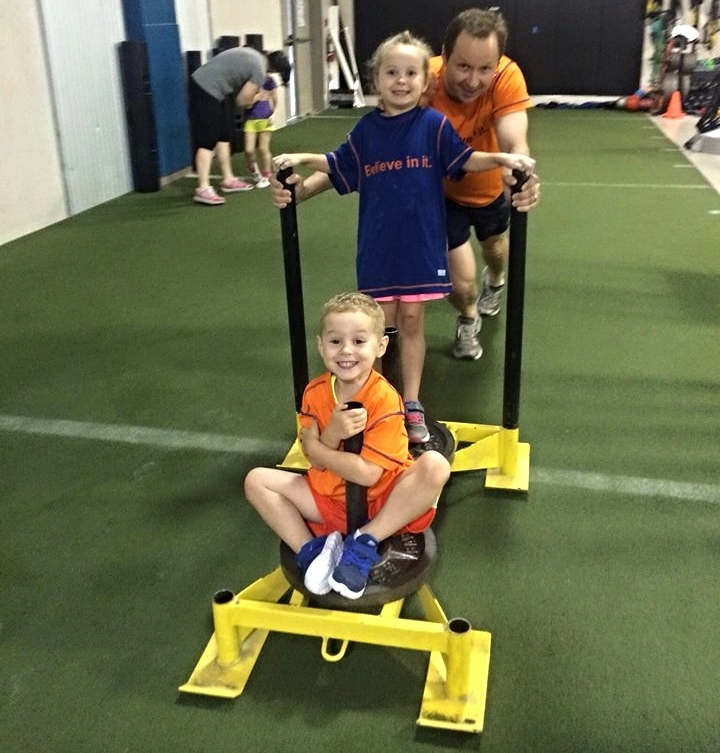 This week's Believe in it® Athlete Spotlight is Erik Soine and his two children. They are helping their dad work out by providing some extra weight and inspiration. Thanks for being a Believe in it® Athlete Erik! you have to outwork thousands in front of nobody."